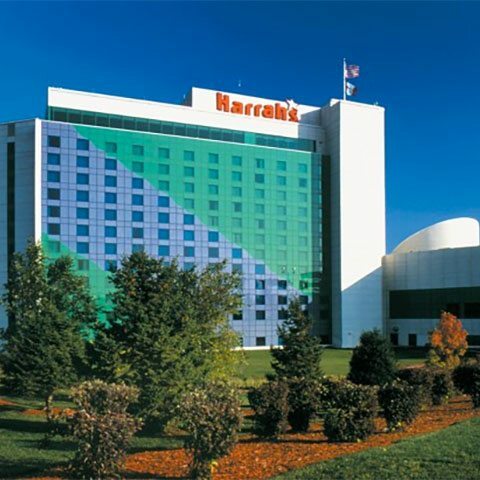 Whether you’re staying at Harrah’s for business or pleasure,Harrah’s Council Bluffs has what you’re looking for. Harrah’s Council Bluffs offers luxurious accommodations with our exquisite suites and deluxe rooms, a convenient fitness facility and Internet access in every room! Guests can enjoy more than 1,000 of the hottest slots and all the area’s best table game action, fabulous dining, shopping and live entertainment by some of music’s biggest names. Craps is a game so dynamic it has a language all its own. It’s a wildly popular and extremely gregarious game, but a first-time visit to a Craps table can be a daunting experience. However, after a brief overview of the rules, and five minutes at a table, even novice gamer begin to appreciate the excitement of the Craps tables. With the friendliest dealers around and the best selection of table games anywhere in the Omaha area, Harrah’s Council Bluffs is the only place to go when you want to come out and play. Grab the dice, place your bets and start flirting with Lady Luck! All your favorite games are here! With over 500 slot machines to choose from, Harrah’s Council Bluffs has the variety you want when you come out and play. Whether you prefer the traditional spinning reels or high-tech video slots, you’ll find it here. Fast Cash keeps you in the action longer and you can even take advantage of same-day cash back for your Reward Credits. Some of our most popular new games include Wizard of Oz, Mummy, Superman, and Fireball 2.